RuneScape developer Jagex has worked on the title since the early 2000s, creating three separate iterations of the game over the years, including RuneScape Classic, RuneScape 2 (now Old School Runescape), and RuneScape 3. 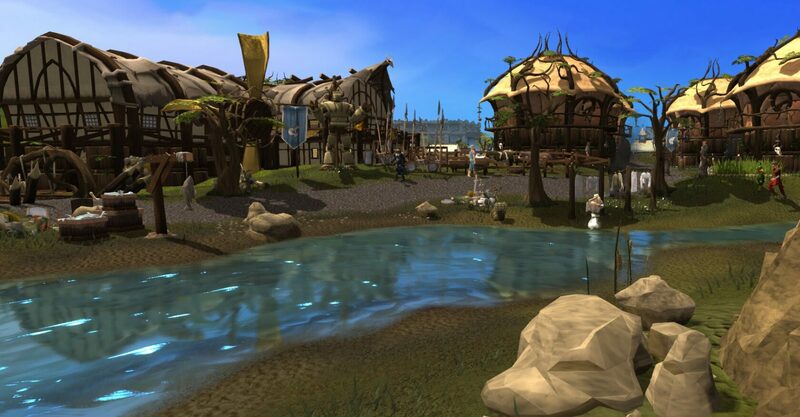 While RuneScape Classic was eventually shut down, Old School RuneScape (OSRS) and RuneScape 3 remain as popular as ever. Indeed, the games have been so successful for Jagex that the company hasn't bothered to create any new IPs or titles in quite some time. The last new game they tried to make, Stellar Dawn (a sci-fi-themed browser MMO), was canceled before it ever gained any traction. Prior to that, Jagex ran a casual gaming website called FunOrb, which has since been shut down. However, Jagex may be attempting to break out of its comfort zone yet again, if a recent report from Wccftech is anything to go by. As spotted by the outlet, game industry veteran Nathan Richardsson appears to have become an Executive Producer of an "unnannounced RuneScape action role playing game." Nothing is known about the title besides the fact that it may exist. It could be an MMO like RuneScape 3 and OSRS, or it could be a single-player game. Given Jagex's track record, the latter seems less likely, though. Jagex has not officially confirmed that a RuneScape-themed ARPG is in the works, so as usual, we encourage our readers to take unverified reports like this with a grain of salt. Regardless, it's an interesting concept, and we'll be reaching out to Jagex for comment on the matter.